The Crown Inn at Hopton. Cleobury Mortimer is Surrounded by stunning views. Located Near Ludlow this coaching inn has been extensively refurbished to a very high standard. 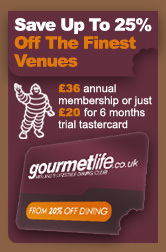 Specialising in traditional cuisine served to the highest standard. Local produce. a la carte daily serving a wide range of fresh produce. We dined off their Pie Week menu - fab value. Loved the Shropshire Steak & Ale Pie. Kev's Back! At last Kev the chef returns, and the new food shows it. I'll be back. lovely setting - good beers and service. Lovely setting & GREAT CHIPS!! Lunch amazing value.